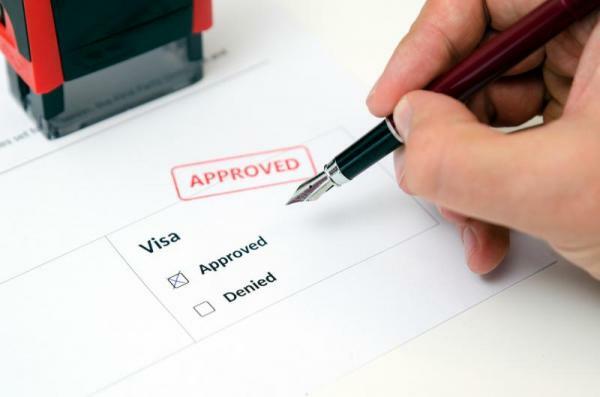 With recent difficulties in Tier 5 sponsorship for independent schools, Stone King lawyer Julie Moktadir explains what schools need to consider when applying for a visa. Independent schools often sponsor individuals from outside the EEA to enhance the educational experience of their students. As most independent schools hold charitable status, the natural route is for these migrants to be sponsored as Tier 5 workers. The two most common are the Tier 5 (Temporary Worker - Charity Worker) visa and Tier 5 (Youth Mobility Scheme) visa. Recently there has been an increase in refusals of the Tier 5 (Temporary Worker - Charity Worker) visas and many independent schools are re-evaluating the use of these types of workers. This route is available where an independent school holds a sponsorship licence and is a recognised charity. So long as the licence grants permission to sponsor Tier 5 migrants under this category, certificates of sponsorship can be issued to bring these individuals to the UK. This category of visa is for overseas workers who wish to undertake unpaid voluntary fieldwork which contributes directly to the advancement of the charitable purpose. Workers on this type of visa can stay in the UK up to a maximum of 12 months. For an individual to apply they must have a certificate of sponsorship reference number from their sponsor and must have sufficient financial means. The UK Visas and Immigration (UKVI) require the applicant demonstrate that they hold £945 in savings, and have held this in their account for at least 90 days prior to the application being made. Many schools have recently experienced difficulties in sponsoring individuals through this route. Entry clearance officers are increasingly refusing applications. Similarly, there has been an increase in compliance visits by UKVI officers to Tier 5 sponsors. The main query raised by UKVI appears to be whether the workers are directly contributing to the charitable purpose of the organisation. In this regard, the UKVI officers will often question whether the migrant worker is temporarily filling a position which is required on a permanent basis. Where an overseas worker on this visa is undertaking backroom work, for example fundraising or administration, this would not be considered as advancing the charity’s purpose. The UKVI also often question remuneration and whether a wage is being paid. Within the guidance available, ’voluntary fieldwork’ is defined as ‘activities which would not normally be offered at a waged or salaried rate’. Where schools are reimbursing expenses, receipts should be collated, copied and kept on file, and the exact amount reimbursed. If a fixed amount is reimbursed, rather than the exact amount of expenses incurred, this may be construed as a form of payment. In this respect, the guidance refers to section 44 of the National Minimum Wage Act. If you hold a sponsorship licence, are a charity, and employing an overseas worker on a temporary basis that would advance the charitable purpose of your school, this is the route for you. However, ensure repayment of expenses is in accordance with the guidance above. Ensure that you have a system in place that satisfies the requirements. The penalties can be severe – up to £20,000 fine per illegal worker. This route is available for individuals wishing to live and work in the UK. This route does not require the employer to be a registered sponsor, so sponsorship is NOT required (unless an individual is from Hong Kong or the Republic of Korea). Workers on this type of visa can remain in the UK for a maximum of two years. For an individual to apply they must be from one of the eight countries to which the scheme applies (Australia, Canada, Japan, Monaco, New Zealand, Hong King, Republic of Korea and Taiwan). Individuals must be aged 18 to 30 and have £1,890 in savings to apply. As this route doesn’t require the employer to sponsor the overseas worker, there is little commitment for either the employee or the employer. If the employee (as with any employee) finds a better offer, they can move positions easily. This is often the case with young workers on this visa, who like to experience living in different areas of the UK, and working in different roles within various organisations. The role is not a voluntary role; this means that it does not have to advance the charitable purpose of the organisation. However, the salary must be appropriate according to the position. Therefore, this is the preferable route for employers wishing to fill permanent vacancies (albeit with temporary workers). If you don’t have a sponsorship licence and/or have a permanent role to fill, this will be the preferred route for your school. However, the appointment is likely to be costlier, and potentially with a greater staff turnover. It is important for all employers to ensure that they are adhering to the correct Right to Work checks. Whether an employer is a sponsor or simply employs British nationals, the Right to Work checks must be correctly conducted. You must check that job applicants (and current employees if not checked during the recruitment process) can work for you in the UK before you employ them. Most employers conduct these checks, make a note on file and continue with the recruitment process. However, it is important that all the correct checks have been completed, and that you are aware of any continuing need to check documents. Prior to appointment, you must see the applicant’s original documents, to check that they are valid. Make and keep copies of the documents and record the date you made the check. If a worker has a limited right to work in the UK, for instance they have a tier 5 (Youth Mobility Scheme) visa, you will need to ensure that you diarise to continue to check their documents. Contact Stone King for more information and advice on ensuring compliancy. What does Brexit mean for international students?